Actor John Waters will once again host Burger Boogaloo. Oakland's favorite arts party has been on hiatus since 2016, but it's back with its most ambitious event to date in a new venue and a new city. 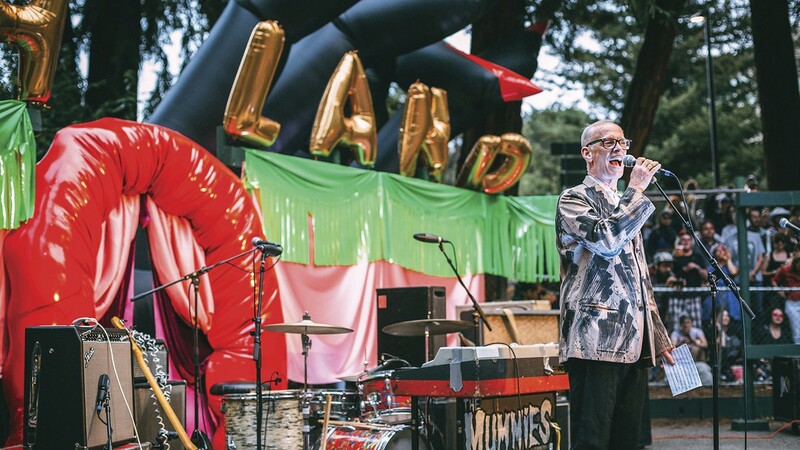 What started as an underground party in a West Oakland warehouse has grown into a distinctive, one-day festival taking over the vast Craneway Pavilion — but it's still independently run by the local writers behind Wine & Bowties. This year's music lineup is stacked with major hip-hop talent, including headliners Princess Nokia and Kelis (yes, "Milkshake" Kelis), as well as local artists such as Spelling, ALLBLACK, and Russell E.L. Butler. Visual artists working in a variety of media — interactive installation, sculpture, paint, photography — will be part of a large-scale exhibition, and the Berkeley Art Museum and Pacific Film Archive will also have a presence for the first time. A portion of the proceeds will benefit Youth Radio. — J.B.
For the eighth year, Cal Performances has linked up with the Ojai Music Festival to present a reimagined, Berkeley version of the Southern California festival, which has long been renowned for its international classic music programming. Every year, the curator and vision is different, and this year's Ojai at Berkeley features four concerts curated by Moldovan-Austrian violinist Patricia Kopatchinskaja. The recent Grammy Award winner is famous for her diverse range, including reinterpretations of modern masterworks. One evening is dedicated to the works of American composer Michael Hersch. Another features Kopatchinskaja with her parents performing traditional Moldovan and Romanian folk music. The festival ends with chamber works by Bartok, Stravinsky, and Ligeti. But the highlight will likely be opening night, the Bay Area premiere of Kopatchinskaja's own semi-staged project, "Bye Bye Beethoven," on Thursday, June 14. It mashes up various classical pieces with imagery and other musical genres, which she describes as a commentary on "the irrelevance of the classic concert routine for our present life." 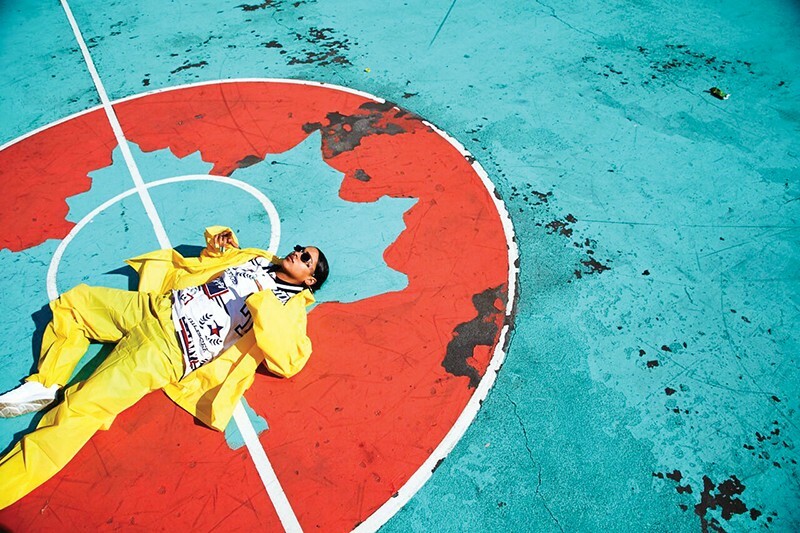 — J.B.
Princess Nokia co-headlines this year's installment of Feels in Richmond. If shelling out hundreds of dollars and pushing your way through droves of sweaty millennials for three days straight isn't your style, Stern Grove Festival might be a better fit than the likes of Outside Lands. Escape the city for an afternoon to listen to live music in a beautiful eucalyptus grove in San Francisco's Sunset district. Stern Grove's 81st season will feature shows every Sunday throughout the summer, including performances from M. Ward with Thao & the Get Down Stay Down, Ziggy Marley (Bob Marley's son), the San Francisco Symphony, and the San Francisco Ballet. Bring a picnic and the whole family if you so please, or get right up in front and dance the day away in an idyllic meadow. Donations are encouraged, but admission is free — so anyone can afford to enjoy the sights and sounds of San Francisco's favorite laid-back summer music festival. — M.W. Summer is just a constant excuse for outdoor festivals — and wine, art, warm weather, and music are the winning combination. Downtown Alameda's 34th annual Art & Wine Faire takes place the last weekend of July and features more than 300 arts, crafts, and food vendors. Sip from a selection of regional wines while your children have a blast hopping around on bounce houses and spinning until they're sick on the teacup rides. Chow down on a Lockeford sausage while you listen to a Bay Area tribute band, or check out the Salsa Stage at the corner of Park Street and Webb Avenue. Window-shop (or actually shop) at over 400 local businesses in Alameda's Park Street business district, many of which will be offering weekend specials during the festival. — M.W. Art & Soul is a festival that manages to captures the diverse, independent spirit of Oakland while still appealing to a broad range of visitors from all over the Bay Area. Featuring local bands, artists, and chefs, the 18th annual iteration of the midsummer festival has yet to announce its 2018 lineup, but past performers have included local soul singer-songwriter Goapele, bilingual hip-hop group Los Rakas, and R&B mainstay Angie Stone. Admission has increased a little over the years but still remains extremely affordable in comparison to the bigger festivals of the summer: $15 for adults, with children 12 and under getting in free. Previous years of Art & Soul have included blues and gospel showcases, an urban dance stage, a turf dance battle, a kinetic arts circus stage, a family fun zone, street performers, and local craft beer, wine, and food. — M.W. The Bay Area's biggest music festival returns for its 11th year with a historic lineup: For the first time, two of the three headliners are women. Powerhouse singers Florence + The Machine and Janet Jackson are joined by R&B crooner The Weeknd at the top of the lineup, as well as rapper Future, eclectic singer-songwriter Beck, and Carly Rae Jepsen of "Call Me Maybe" fame. The festival also added a few last-minute acts, most notably Janelle Monae. Compared to past years, the indie rock-, pop-, and electronic-heavy lineup is even lighter than usual on hip-hop, but local favorites SOB x RBE and Caleborate should represent the East Bay well. Plus, it's hard to beat Outside Lands' selection of food, drinks, comedy, and other extras. — J.B.